Two tiny worms much smaller than a rice grain and a strange crustacean that has no eyes and poisonous fangs are among several new species of marine life discovered in an underwater cave by a Texas A&M University at Galveston researcher, who has had one of the new species named after him. Tom Iliffe, professor of marine biology and one of the world's foremost cave researchers, was part of an international team that discovered the new species in a mile-long underwater cave in Lanzarote, Canary Islands, located in the Atlantic off the coast of North Africa. Their findings are published in the current issue of "Marine Biodversity." 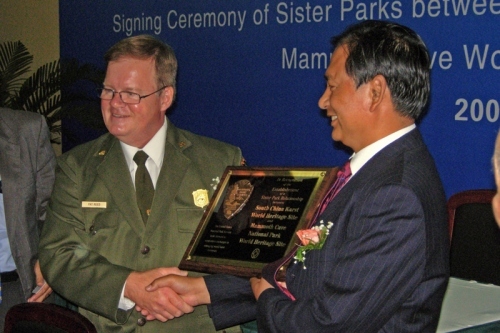 The research project was funded by the National Science Foundation. Iliffe, along with researchers from Pennsylvania State University, the University of La Laguna in Spain and two German universities – the University of Veterinary Medicine in Hanover and the University of Hamburg – found the new species while exploring the Tunnel de la Atlantida, the world's longest submarine lava tube. During a cave diving expedition to explore the Tunnel de la Atlantida, the world's longest submarine lava tube on Lanzarote in the Canary Islands, a team of scientists and cave divers have discovered a previously unknown species of crustacean, belonging to the remipede genus Speleonectes. They gracefully swim through the complete darkness of submarine caves, constantly on the lookout for prey. Instead of eyes, predatory crustaceans of the class Remipedia rely on long antennae which search the lightless void in all directions. Like some type of science fiction monster, their head is equipped with powerful prehensile limbs and poisonous fangs. Accordingly, the translations of their Latin names sound menacing. There is the "Secret Club Bearer"(Cryptocorynetes) or the "Beautiful Hairy Sea Monster" (Kaloketos pilosus). The names of some genera were inspired by Japanese movie monsters, for example, the "Swimming Mothra” (Pleomothra), the "Strong Godzilla"(Godzillius robustus) or the "Gnome Godzilla" (Godzilliognomus). 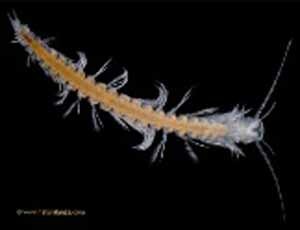 During a cave diving expedition to explore the Tunnel de la Atlantida, the world’s longest submarine lava tube on Lanzarote in the Canary Islands, an international team of scientists and cave divers have discovered a previously unknown species of crustacean, belonging to the remipede genus Speleonectes, and two new species of annelid worms of the class Polychaeta. in the Padre Nuestro Cavern. A prehistoric water-filled cave in the Dominican Republic has become a "treasure trove" with the announcement by Indiana University archaeologists of the discovery of stone tools, a small primate skull in remarkable condition, and the claws, jawbone and other bones of several species of sloths. The discoveries extend by thousands of years the scope of investigations led Charles Beeker, director of Academic Diving and Underwater Science Programs at IU Bloomington's School of Health, Physical Education and Recreation, and his interdisciplinary team of collaborators. The researchers' focus has been on the era a mere 500 years ago when the Old World and New World first met after Christopher Columbus stepped ashore in the Caribbean -- and on scintillating pirate lore. This rare find is expected to give insights into the earliest inhabitants of the Greater Antilles and the animals they encountered. "To be honest, I couldn't believe my eyes as I viewed each of these astonishing discoveries underwater," Beeker said. "The virtually intact extinct faunal skeletons really amazed me, but what may prove to be a fire pit from the first human occupation of the island just seems too good to be true. 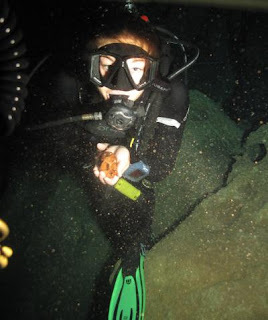 But now that the lithics (stone tools) are authenticated, I can't wait to direct another underwater expedition into what may prove to become one of the most important prehistoric sites in all the Caribbean." How's this for an energy trick? The caverns are primarily intended for storage of natural gas — as much as 45 billion cubic feet of gas. Gas producers need storage typically in summer when demand is low, so they can pull it out in winter when demand is high. A University of Arizona anthropologist has discovered that humans living at a Paleolithic cave site in central Israel between 400,000 and 250,000 years ago were as successful at big-game hunting as were later stone-age hunters at the site, but that the earlier humans shared meat differently. "The Lower Paleolithic (earlier) hunters were skilled hunters of large game animals, as were Upper Paleolithic (later) humans at this site," UA anthropology professor Mary C. Stiner said. "This might not seem like a big deal to the uninitiated, but there's a lot of speculation as to whether people of the late Lower Paleolithic were able to hunt at all, or whether they were reduced to just scavenging," Stiner said. "Evidence from Qesem Cave says that just like later Paleolithic humans, the earlier Paleolithic humans focused on harvesting large game. They were really at the top of the food chain." The Qesem Cave people hunted cooperatively, then carried the highest quality body parts of their prey to the cave, where they cut the meat with stone blade cutting tools and cooked it with fire. The famous French caves Ressel and Landenouse will provide a demanding stage for two underwater photography-workshops. J.-P. Bresser, a Dutch photographer and cave diver, invites fellow divers to join him from September 26 to 29, and from October 5 to 8, 2009 in the French Department Lot. The four-day workshop will be held in English and German. Topics covered will include dive planning, communication, and digital finishes on computers using Adobe Photoshop and other software. Divers interested to participate need a full cave certification from an international recognized agency (such as NACD, NSS-CDS, GUE and IANTD) and proof of a valid dive accident insurance. The costs for the workshop is Euro 550 (approximately $793), plus flight, accommodation, and gases. A group of British potholers had to be rescued this Sunday after spending Saturday night trapped 100 metres below ground in the Picos de Europa. 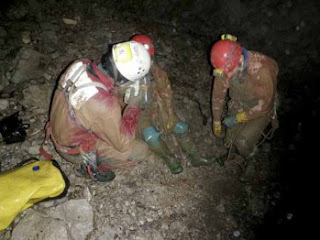 They were exploring the Asopladeru La Texa cave, on the south eastern face of Cabeza Muxa in Onís, Asturias, when flooding from heavy rainfall left them unable to find the guide rope which would lead them back to the surface. The rescue team reached the first two members of the group at around 11am on Sunday, who EFE reports were then able to continue on to the surface themselves after being helped past the flooded area. Their team members, found further inside the cave some 20 minutes later, were exhausted and needed time to recover after being given food and drink before they could attempt the journey to safety. It was the second rescue from the same cave in the space of a week, after another incident when two members of the British group were trapped for 3 hours after losing their guide rope. It’s understood there were no injuries suffered, except exhaustion, on either of the two occasions. Is Bat White-Nose Syndrome An Emerging Fungal Pathogen? most of the bats exhibit fungal growth on their muzzles. An emerging fungal pathogen? New research provides even more evidence that a previously undescribed, cold-loving fungus is associated with white-nose syndrome, a condition linked to the deaths of up to 1,000,000 cave-hibernating bats in the northeastern and mid-Atlantic states. Since the winter of 2006-2007, bat populations plummeted from 80 to 97 percent at surveyed bat-hibernation caves, called hibernacula. USGS microbiologist Dr. David Blehert and his colleagues identified the fungus last year, and have followed up by trying to determine if the fungus may be responsible for the deaths or if it is simply a side effect of another underlying disease. The researchers found that 90 percent of all bats they examined from suspected WNS sites had a severe fungal skin infection that did not just occur on the skin, but below it as well. The growth temperature requirements of the fungus are consistent with the core temperatures of cave-hibernating bat species throughout temperate regions of the world. Given the hundreds of thousands of hibernating bats found throughout the WNS-affected region, as well as the potential for the spread of this disease to other parts of the United States and Canada, white-nose syndrome represents an unprecedented threat to bats of the northeastern United States and potentially beyond. This research was presented at the 58th annual meeting of the Wildlife Disease Association (WDA) held on August 2-7, 2009, in Blaine, Wash.